This is the Python package structure part of our Python tutorial. And Python PIP is basically a kind of package manager that is specially designed for different kinds of Python packages or modules. It is also important for you to know that if you are using a Python version 3.4 or any other version after it then PIP is included by default in those versions. A python package structure is basically a kind of object that contains all kinds of files that you would need for any particular module. It is also important for you to know that modules can also be looked on as a type of python code libraries that you have the power to include in any of your projects. If you wish to check if PIP is installed in the version of PIP that you have then you just need to navigate to the command line of the place where the python script directory is located on your computer. You should also always try to update PIP python. And then you would have to type the following mentioned things in that command line. This will help you in knowing whether you need to python install pip or not. You can also learn how to use PIP python with the help of this tutorial. You can also update PIP python. And if you wish to download a package while using this programming language then you can do that in a very easy manner. To do that you just have to open the command line interface of Python and then tell PIP about which package you would want to download. 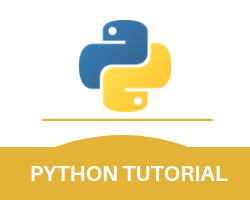 You should navigate to the command line of the location where you have stored the python script and then you should type the below-mentioned data. It is important for you to know that as soon as you install the package then you can use it. But before starting, you should ensure that performed the steps of python install pip. However, you would first need to import it and that you can do by following the below-mentioned process. With this, we finish the how to use pip python part of our entire Python tutorial.